Product description The data correspond with the INSPIRE Data Specification for the theme Cadastral Parcels (CP). It originates in the cadastral map that is a binding national map series at large scale, contains points of horizontal geodetic control, planimetric component and map lettering and can be maintained in the form of digital map, analogue map or digitized map. The data published in the frame of INSPIRE contain only cadastral districts (for the whole Czech Republic) and parcels and their boundaries from the territory where the digital map occures (to the 2019-01-28 it is 96.25% of the Czech territory, i.e. 75 913.13km2). More in the Cadastral Law 344/1992 Coll., Cadastral Public Note No. 26/2007 Coll. 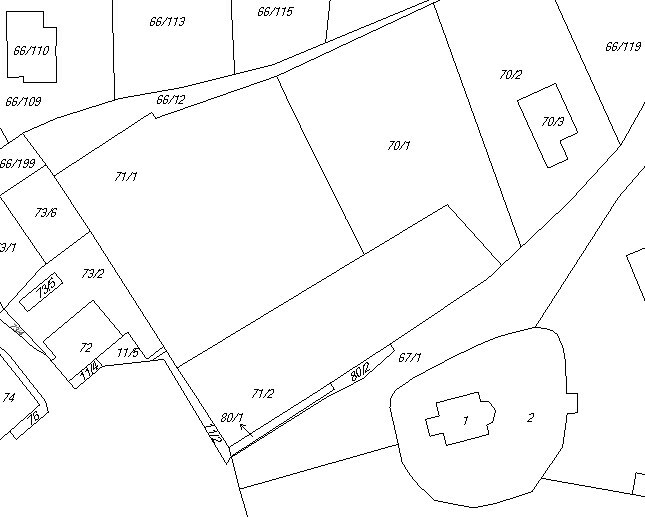 as ammended and INSPIRE Data Specification on Cadastral Parcels v 3.0.1. Data in the GML 3.2.1 fotrmat are valid against XML Definition Schema for the theme Cadastral Parcels in version 4.0 and spatial data scheme for ELF in version 1.0.